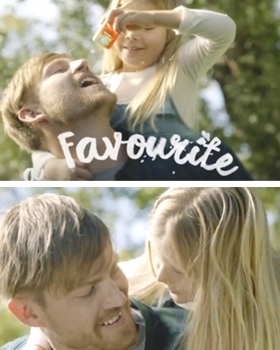 Sakura H and Chloe D-V featured in this Woolworths 'Fresh Food Kids' Campaign. Jamie Oliver lead the kids, to promote the Woolies 'Free Fruit for Kids' initiative. Lauren and Toren, from our Babies and Families Division, shot this bedtime scene for the new Cochlear N7 Hearing Aid. Gia G shot for Aldi's Summer & Halloween themed Special Buys this month. You can see her across 5 pages of their monthly catalogue, available instore and online. Teagan C and her Father Larry, were booked from our Family Division, to participate in this shoot for TIC TAC. Teagan and Larry join a long list of talent who are now booking jobs through the Cute Kids Family Division. Georgie T shot for the Aldi Special Buys Catalogue this month! This is the second time Georgia has participated in an Aldi catalogue shoot. Another great example of our talented Family Division! 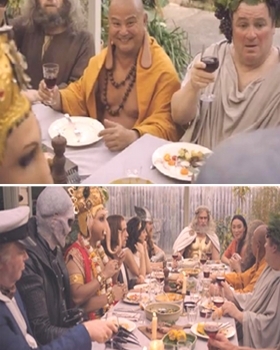 Clem L was selected for the role of Buddha in this big MLA 'Lamb' campaign.